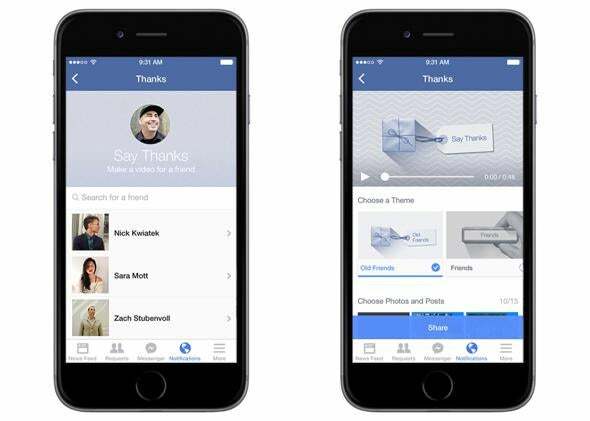 Facebook's customizable "Say Thanks" videos are a terrible way to thank someone. You can customize a “Say Thanks” video on desktop or mobile. The fact that society still values written thank-you notes doesn’t mean that a heartfelt digital thank-you isn’t possible. But, as you can see above, “Say Thanks” is just an amalgam of everything that’s impersonal about digital gratitude. It’s full of clichés like thanks “for the good times we’ve had” and for “being a friend.” And even with the personal images, the background graphics make the videos seem more like Facebook proper than an intimate mode of communicating gratitude to a friend. It’s hard to say what we really feel, and when people make “Say Thanks” videos they will presumably be doing it for the right reasons. But it’s one thing to wish someone a happy birthday on Facebook, and another altogether to call them, write them, or see them on that day. “Say Thanks” has the same limitation.